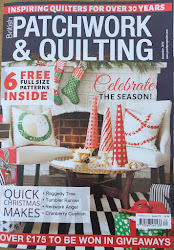 British Patchwork and Quilting Magazine: December is so last year! December is so last year! It may still be the week before Christmas, but we poor editors are surrounded by hearts and words of love at the moment (would be nice to be surrounded by chocolate too) as we put the February issue together before the end of the year! The January issue is out now with some great projects to tempt you if you find some sewing time over the Christmas period. 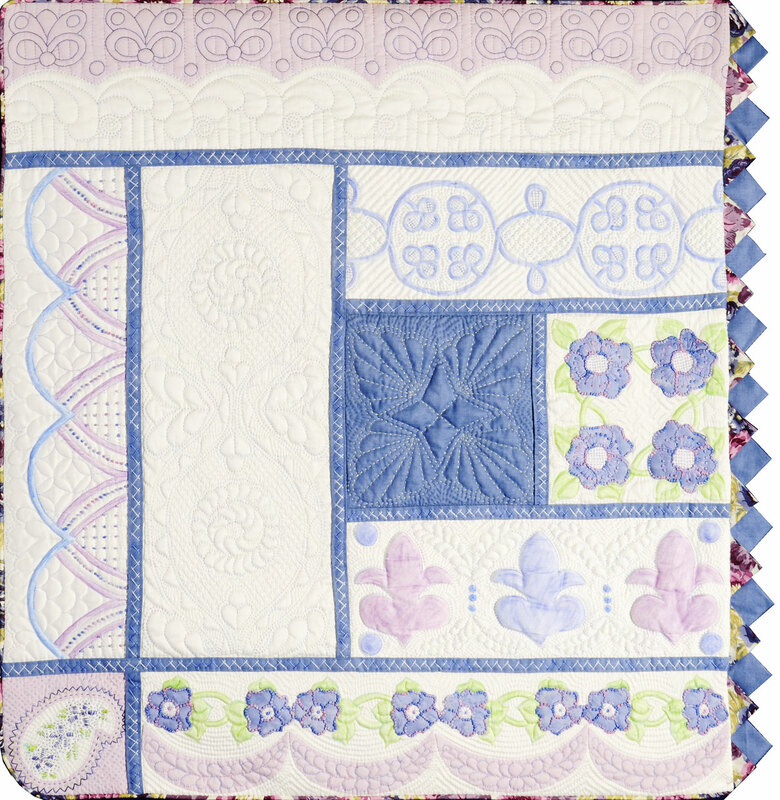 The main front cover quilt is a quick pieced project, with a hint of applique, that is a great way of using those large scale Oriental prints that we all have in our stash but can't bear to cut up. 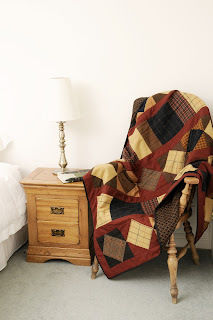 Another project that several members of staff have been drooling over is Mulled Wine, a cosy tweed quilt. Even it's name suggests snuggling up in front of a warm fire! 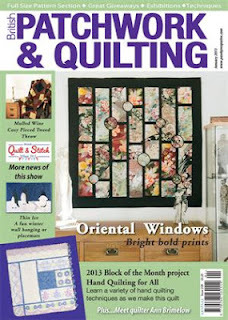 Most of all we are really excited to start a new block of the month programme, Hand Quilting for All. This is a sampler type quilt designed especially for P&Q by award winning quilter, Jacquie Harvey. 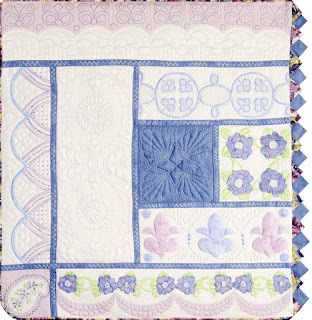 It will teach you all the various techniques Jacquie uses in her quilts and runs over 9 months. Judi and I are looking forward to taking a couple of days off (hopefully) over the holiday season as it has been a very busy six months adjusting to Di not working full time on the magazine. We all met up for an editors' Christmas lunch this week and it was great to see Di looking so well. She asked us to pass on her thanks for all the good wishes she has received from everyone. Bunting.......how much can you make?